South of Main or “SoMa” is a complicated development with a variety of interests, components, public and private entities, academic and institutional objectives, and opportunities including a new gateway to Kendall Square and MIT. 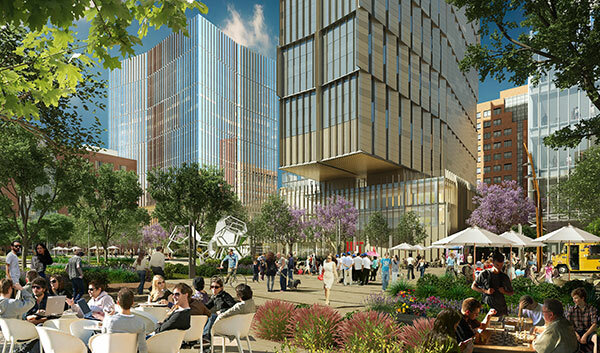 After assisting MITIMCo with rezoning 26 acres in Kendall Square and securing zoning rights to an additional 1.1 MSF rights, Redgate is leading the development to obtain the special permit and rights for construction. We are providing strategic advisory and permitting, development management and project management services for two of the three core-and-shell commercial buildings and an underground parking garage. In addition, the project will encompass renovating/relocating an MBTA headhouse, utility infrastructure construction, and landscaping of the South of Main Street development.